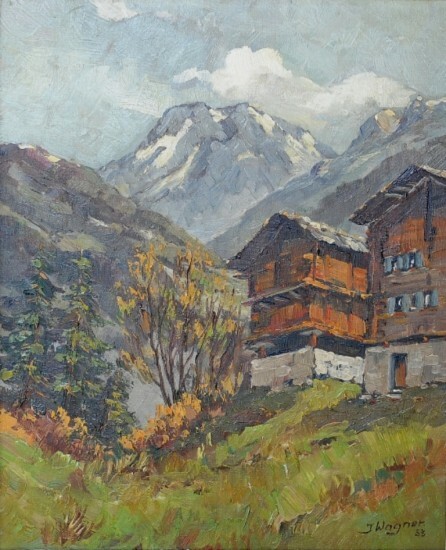 The Aiguilles Rouges 1953 - WAGNER J. 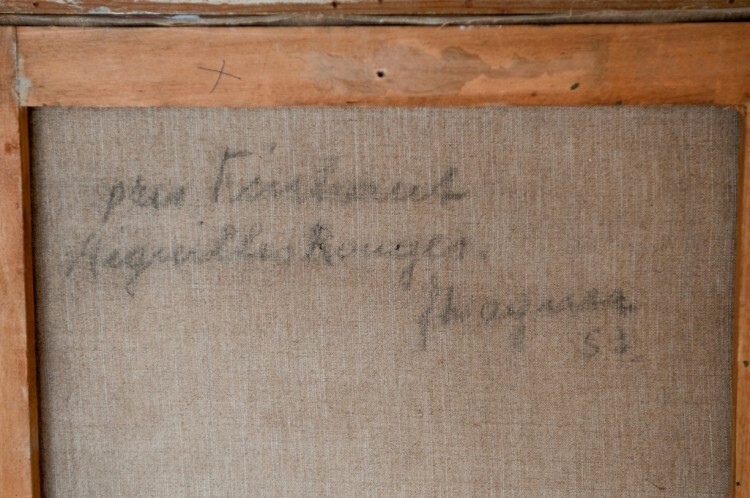 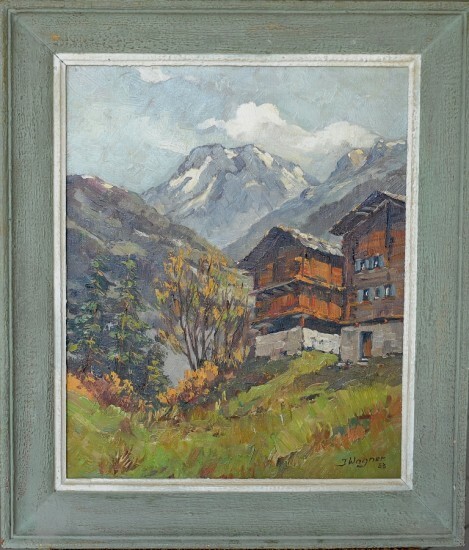 The Aiguilles Rouges 1953> WAGNER J.
signed lower right and dated 1953. 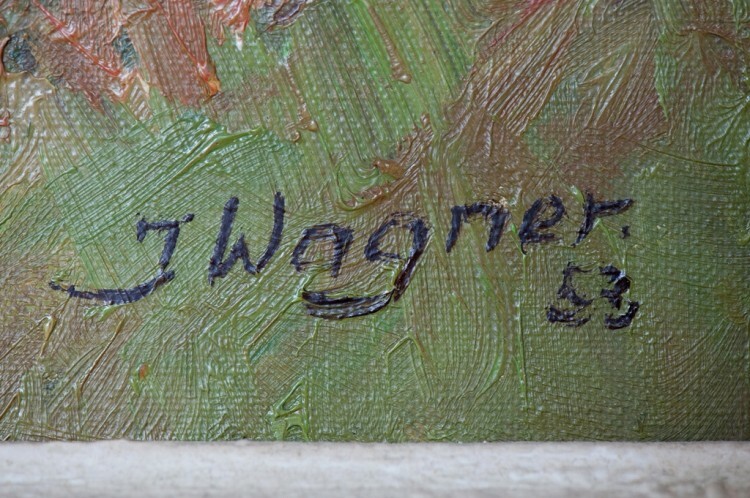 Situated and countersigned in the back.